A new study proves more wolves have been subject to poaching than the DNR reported. Study by Adrian Treves and other scientists published in the Journal of Mammalogy: The UW study investigated the deaths of 937 gray wolves from October 1979 to April 2012 — a period that ends before Wisconsin initiated hunting seasons for wolves. Of the 937 wolves that died and whose deaths were investigated, 431 wore radio collars. The UW researchers said that their analysis showed that the death of radio-collared wolves attributed to human causes was 64%. But the DNR calculated 55% and said an additional 18% of deaths were due to unknown causes, according to a DNR report in 2012. The researchers re-examined government records of necropsies and X-rays and found in some instances that gunshot wounds were a factor in the cause of death when other causes were cited. The analysis also showed 52 wolves, or 20% of 256 animals that were X-rayed, revealed evidence of gunshots that did not kill the wolves. These cases were not added to researchers’ own estimates of higher poaching. But the study said that figure lends credibility to the researchers’ claim that more wolves have been subject to poaching than the DNR reported. Julie Langenberg, one of the authors of the study and a former DNR veterinarian, re-examined wolf death records. She found evidence of gunshots that in the initial analysis were either mentioned briefly or not identified. Sometimes it was her own work. She said the DNR’s job was to simply determine the cause of death. 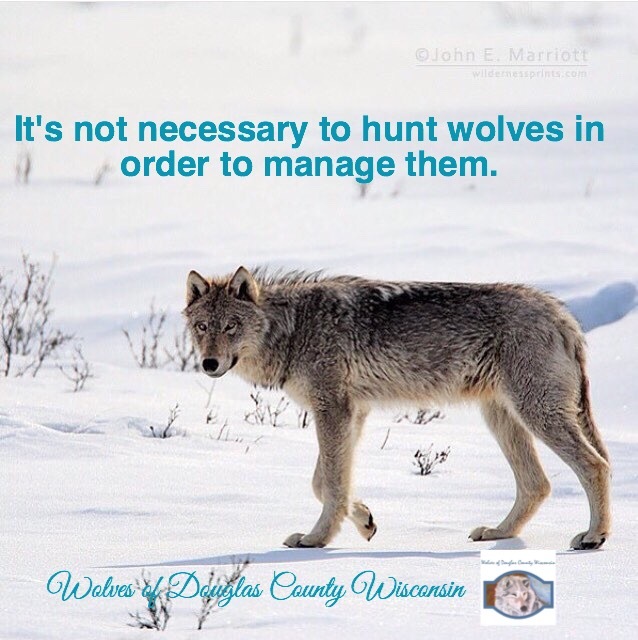 Wisconsin officials reported that 528 wolves were killed during the state’s wolf hunting seasons in 2012, 2013 and 2014. During 2013, 257 wolves were killed — nearly half of all wolves harvested during the three years. Then the wolf population dropped 18% from 809 in 2013 to 660 in 2014.